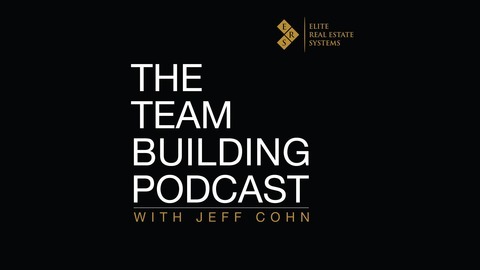 Jeff Cohn and his team conduct in-depth video masterminds with the team leaders, mega-agents, Ops Managers and Marketing Directors of the top real estate teams around the country. 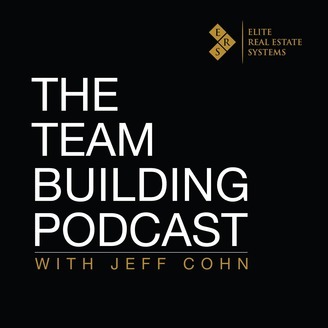 Featuring stats, strategies and systems you won't find on other shows, the Team Building Podcast arms you with the actionable information, concepts and metrics you need to create a blueprint for your own dominant team. Successful real estate professionals know that there are a lot of factors that go into scaling a business. What should you be focusing on to make sure you get massive leverage? Which tasks should you be leveraging to other people? On this episode, I talk with real estate investor and founder of REIVault, Gary Boomershine, who shares stellar advice for taking a real estate business to the next level. If you want to build your business, it’s crucial that you use other people’s time instead of your own. Give sellers the option of selling their home at the ‘investors price’. While it’s lower than what they’d get for a traditional listing, share the benefits of selling at the investors price. Create an integrated, shared marketing team. Streamlining the process allows you to offer great value to clients at lower rates. Teams are extremely important in real estate, so make sure you’re building them effectively. Build teams that can handle marketing across various platforms, and through a number of strategies. You also need to make sure you’re creating awareness for the possibility of selling to an investor. There are many benefits to this, and your clients should be aware of the option.